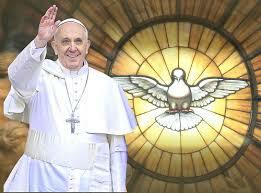 Pope Francis spoke June 10, 2018, of the strength and clarity Jesus used in standing up to two types of misunderstanding, which sprung from the scribes and the Savior’s own family members. The Holy Father’s comments came before praying the noonday Angelus with an estimated crowd of 20,000 pilgrims in St. Peter’s Square. “To bad-mouth others, to destroy the reputation of others, makes us the devil’s family,” proclaimed the Pope.” But Jesus faced much bad-mouthing. The Holy Father explained that they tried to discredit Jesus by claiming his ability was from the Beelzebul – that he was possessed and that was why he could cast out demons. They didn’t want the people to believe that Jesus could heal the sick, so they claimed it was demonic power at work. But which the scribes misunderstanding may have revealed their envy, Jesus faced another misunderstanding from his family members. They feared he suffered from madness. “Today’s Gospel speaks to us also of another misunderstanding, very different, in Jesus’ relations: that of His relatives,” Francis explained. “They were concerned because His new itinerant life seemed madness to them (Cf. v. 21). The Pope recalled how Jesus, in the Gospel, told the people that everyone who follows God’s will is his brothers and sisters. The Holy Father concludes by reminding those listening that this doesn’t diminish Christ’s earthly family, but allows all who accept his word to become part of the family.